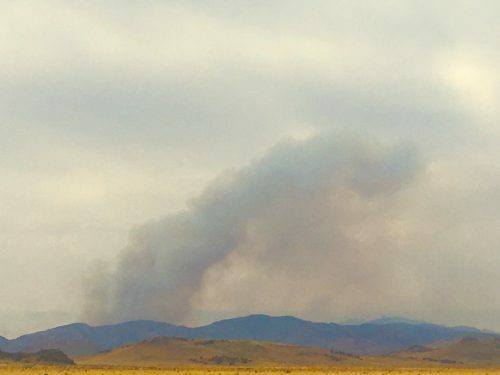 A wildfire that’s believed to have been started by lightning strike early Monday morning on McDannald Ranch, west of Brown Mountain in Jeff Davis County, is still burning. Late Thursday night, the wildfire was reported to be down to 19,000 acres with 23 percent of it contained. That acreage represents the fire’s total footprint not the size of the active blaze. The fire’s Friday footprint is a drop from the 22,053 acres fire officials said the fire had spread across early Thursday morning. 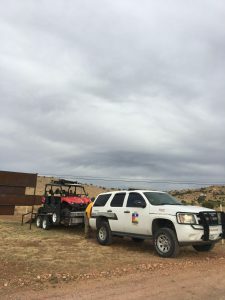 Fire crews from about 14 states have arrived in Fort Davis to assist with the fire, according to the Texas Forest Service. There is also a type 1 incident management team on the scene; they arrived from all over the country Wednesday night. This type of response team is specially trained for intense, more complex fires. 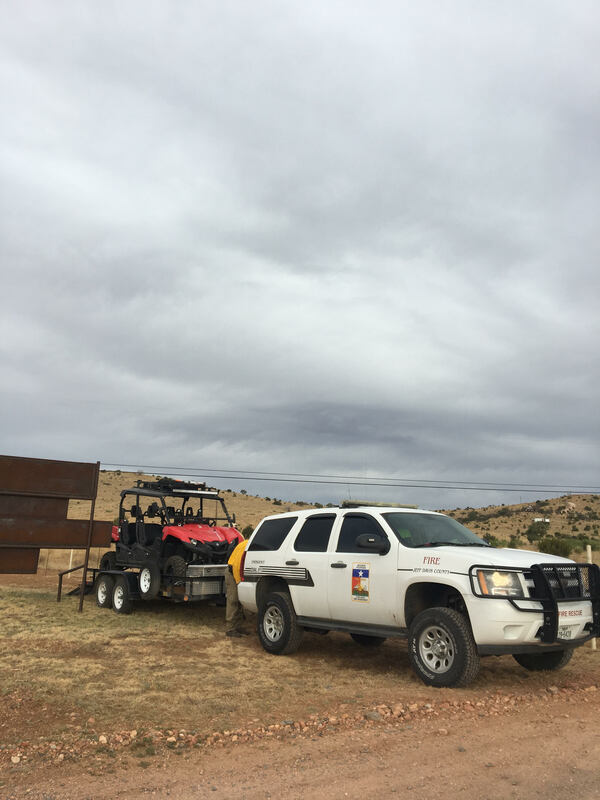 The rugged terrain poses some challenges unique to fighting fires in the Davis Mountains. Fires crop up in canyons, or on rocky mountainsides, places that are difficult or impossible to reach in a vehicle. “There are no roads that go up there so, kind hard for us to fight,” says Fort Davis Fire Chief Pat Olivas, as he pointed out a flame cresting over a ridge on Wednesday. On Wednesday, unexpectedly cooler temps and a higher humidity kept fire activities low in the Davis Mountains. Officials said fire growth was slower than it had been in previous days. Fire crews were in the Davis Mountains Resort community setting up protective measures. The community — which is home to some 400 structures — was under a voluntary evacuation order, but that was lifted Wednesday night at 8 p.m.
Thursday morning as crews began to arrive, the focus was shifted to fighting the head of the fire and keeping the blaze within the 166 Loop. Crews will be in the nature preserve Thursday to set up a fire line from Paradise Mountain to the Crest Trail as a preventative measure. Fire officials say several structures did catch fire and one structure was lost. It wasn’t a primary residence. No injuries have been associated with the fire. This is a developing story. We’ll continue to provide you with updates throughout the week. This entry was posted in KRTS News and tagged McDannald Fire. Bookmark the permalink.